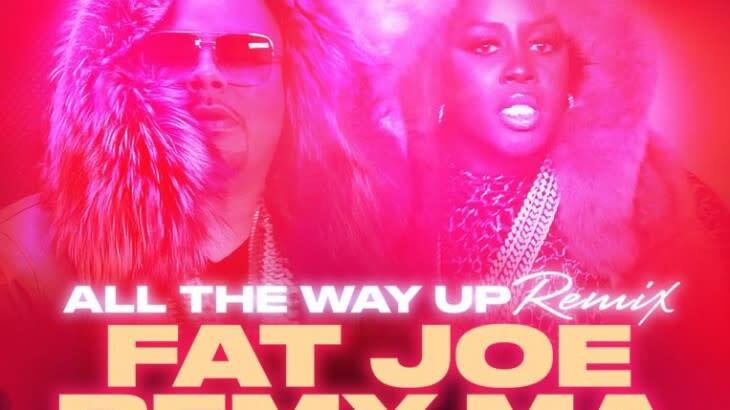 Fat Joe, Remy Ma, and French Montana&apos;s "All the Way Up" gets the official remix treatment Tuesday night, as Jay Z has been added to the summer anthem. The inclusion of Hov on the remix was rumored for quite a while but finally came to fruition to count as Jay&apos;s first official verse of 2016, if you don&apos;t count the bar on Drake&apos;s original version of "Pop Style." "All the Way Up" was already one of the biggest songs of the year and is now poised for a major boost with the added verse from Hov, who last dropped a full verse as a featured guest for Jeezy&apos;s 2014 single "Seen It All." Rumors about Jay&apos;s involvement on the remix were first sparked by N.O.R.E. back in April, when he mentioned that things were in motion to get it done, though he didn&apos;t confirm that it was going to happen. On the remix, Jay delivers plenty of flexes, including a name drop of LEMONDADE and cleverly mentions how it&apos;s still a popular drink. Hov also mentions that their marriage made it and that Blue Ivy is "looking like Pac in the tub." Even more interesting, Jay includes a line about Prince and how his masters are safe with Tidal, which is the only streaming service that the late singer&apos;s music is available on. Like a true remix, Fat Joe and Remy also serve up new verses, which might be even better than they came with on the original. The remix comes exclusively from Tidal, which is of course no surprise with Jay Z on the track. Timing for this release is quite interesting, as rumors surfaced Monday that Jay Z and Beyoncé have finally finished up their collaboration album and are reportedly planning to drop it sooner rather than later. Naturally, there&apos;s been no concrete information from either Jay or Bey about the album and if it even exists. Still, any new verse from Jay Z remains a big deal in hip-hop, and this seems especially important because it&apos;s a New York record. With Fat Joe and Remy Ma slated to perform at Hot 97&apos;s Summer Jam next month, it will be interesting to see if Jay makes his return to the stage to perform the remix at the festival. You can stream the "All the Way Up" remix below via Tidal. Could Jay Z Be Featured On the "All the Way Up" Remix?